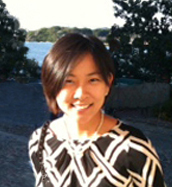 Min is a National Board Certified (NCCAOM) Acupuncturist licensed in VA, MD and DC. She is dedicated to supporting a person's healing process, which can alleviate physical, mental, and emotional symptoms by awakening their innate ability to renew and to maximize their potential for wellness. After earning a Bachelor of Science (BS) in Nursing at George Mason University (GMU), Min began her professional Health Care Practitioner journey as a Registered Nurse (RN) in an Intensive Care Unit (ICU). Min furthered her studies to incorporate the approach of preventive and holistic care by earning Master's degrees in Acupuncture and Oriental Medicine from Maryland University of Integrative Health (MUIH), formerly known as Tai Sophia Institute for Healing Arts. Min's background and knowledge in both Western and Eastern medicine allow her to focus on promoting balance and ease with individualized attention during her treatment sessions. She serves the community with joy and compassion, supporting each person as unique and whole. She continues to deepen her knowledge to be of greater service. You can read more on her website at www.illuminatedpoint.com.